Electronic Tax Receipt Required for Health Services Rendered in Mexico. Good Neighbor Insurance provides WEA Signature international medical insurance for expats living outside their country of citizenship. Good Neighbor Insurance (GNI) also provides the Premier Health Medical Insurance cover also for local nationals as well as for expatriates. Please be advised that all Premier Health and WEA insured members are required to submit a “factura electrónica” when submitting a claim for medical and pharmacy services in Mexico. “Facturas electrónicas” or electronic invoices are digital tax receipts. Before finalizing your appointment or visit, make sure to request a “factura electrónica” from your pharmacy, doctor, hospital or clinic. As of January 1, 2011, Mexico began requiring companies to integrate with Mexico’s Tax Administration Service (SAT) for real-time issuance and approval of electronic invoices. In accordance with this legal requirement, companies operating in Mexico, must present an electronic invoice for any services rendered. In Mexico, a “factura electrónica” may also be referred to as a “Comprobante Fiscal Digital (CFDI)” or “factura fiscal”. These electronic invoices document and confirm that services provided are in accordance with the standards defined by SAT. Electronic invoices help reduce the risk of fraud and offer a secure means to immediately verify the identity and tax eligibility of the professional / entity signing the electronic invoice. Here is another way one of our underwriters stated: Mexican providers are required to provide all insureds who receive services what is called a “factura electronica.” It’s an electronic invoice with all the information on the provider. When an insured receives services in Mexico and files a claim for them, WEA needs a copy of this electronic invoice from the provider as part of any submitted documentation. If the insured doesn’t automatically receive it, they can ask for it. Here is some great information on our Premier overseas medical insurance. You may also view this information on our web page at https://www.gninsurance.com/pagroup-premier-international-health-insurance/. Worldwide coverage including the U.S. Optional Disability benefit for sickness and accident. Premier Health is a best in its class international healthcare plan exclusively developed to provide comprehensive protection worldwide. This high-end plan is tailored to the needs of non-US residents that require global coverage including in the United States. With Premier Health you can enjoy exceptional worldwide benefits with world class services. 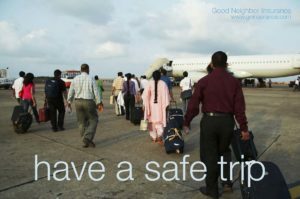 Good Neighbor Insurance (GNI) provides international medical insurance to those traveling and residing outside their country of resident/country of citizenship. Good Neighbor Insurance (GNI) also provides medical insurance for local nationals. Please call one of our professional international medical insurance GNI agents at 866-636-9100 or at 480-633-9500. You may also email us at info@gninsurance.com or visit our corporate web site at https://www.gninsurance.com. Our licensed agents here in Arizona are here to find the best overseas medical insurance cover for those traveling outside their country of resident or for those residing outside their county of resident. Safe travels from your GNI family!